Customers expectations are increasing and we have to meet their levels of service to be competitive. Imagine you receive a call from a potential new customer who needs your services but all your vehicles are in the field and not at your depot. In the old days, this meant waiting for each vehicle to check in and provide their location, or the fleet manager would have to call a number of drivers, in order to provide customers with an updated estimated arrival time. But with GPS vehicle trackers installed in your vehicles this is no longer the case, with just a quick check of your monitoring system on any mobile device, tablet or PC you can locate the closest available vehicle and get them on route to your customer. With live tracking software you can see where all your fleet vehicles are right now, and also where they have been during the day. This means you don’t have to call drivers to ask if they have made a delivery or a pickup from a particular address. No more interruptions to the driver and no more wasted operational time – and be able to give customers, instant delivery information whilst they are on the phone to your business. The gps vehicle trackers send their location every 3 minutes to a server so you’ll always know where your fleet vehicles are. Not only is this a huge time saver for both the head office and the driver. 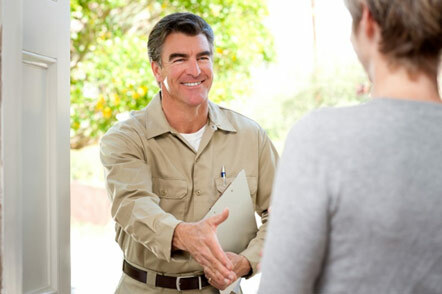 No customer likes waiting a long time for a service call especially if they have other appointments and set commitments elsewhere. With GPS vehicle trackers you can provide your customers with a more accurate arrival window and make customers happy working around their busy schedules. Customer service and timely responses are key to keeping customers satisfied and with GPS vehicle trackers installed in your vehicles you will have the tools you need to provide quick responses and real time arrival estimates.